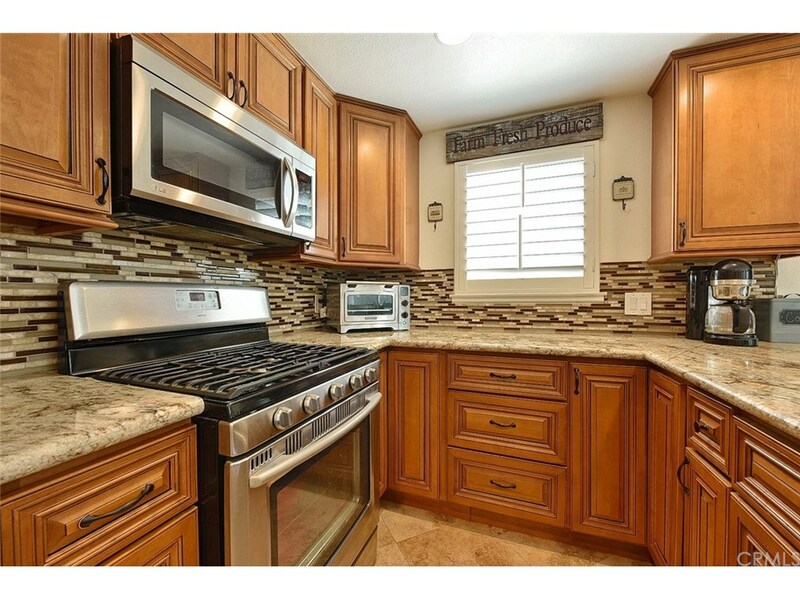 Beautifully remodeled four bedroom single story home with two gated RV parking driveways. Turnkey San Dimas home with covered entry, formal living room with high ceilings, remodeled open kitchen with newer cabinets, granite counters, and stainless appliances, family room/great room with fireplace and slider door to outside, master suite with large closet with mirrored doors, and slider door to outside, master bathroom with oversized shower and vanity with granite counter, three additional bedrooms with mirrored closet doors. Remodeled hallway bathroom with vanity with granite counter. Inside laundry. Upgrades include: newer heating and air conditioning, dual pane windows, plantation shutters, crown molding, mirrored closet doors, raised panel doors, new front door, and travertine floors. Three car attached garage with direct access to house. Private backyard with drought tolerant landscaping. Two RV parking areas, perfect for RV, boat, trailer, or extra cars. Located close to schools and downtown San Dimas. This home shows beautifully and will not disappoint.